Whenever you have a crappy day, just pick up Miss Buncle´s Book and reading it will make you feel happy. It´s cozy, delightful and utterly charming and all of my favorite characters got their personal happy ending, which made me happy. And I adored the depiction of the small village of Silverstream and its inhabitants. 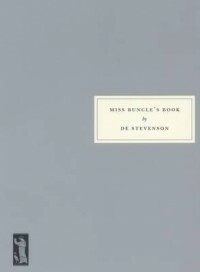 I really love this novel and I highly recommend Miss Buncle´s Book to everyone who needs a great comfort read.